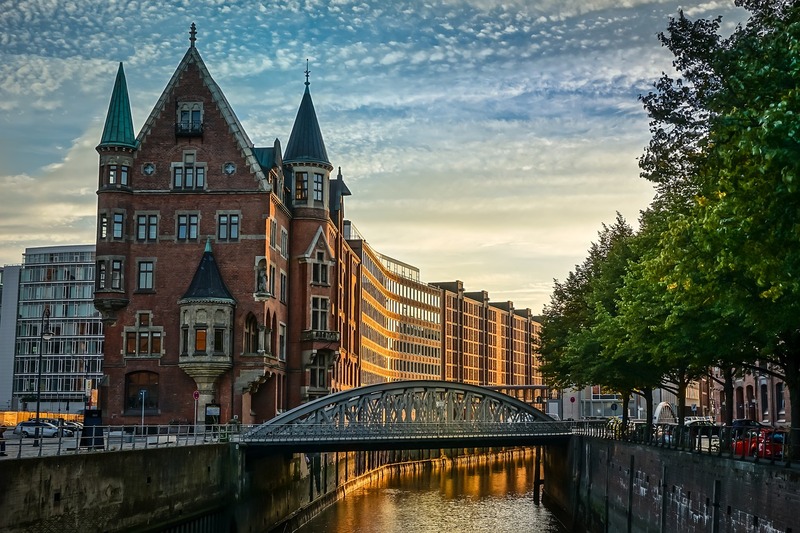 You wouldn’t think that Hamburg was Germany’s second-largest city behind Berlin – as it hardly registers on most tourists’ radars. But this cosmopolitan city in the north of the country is every bit as interesting as its more well-known compatriots, and more than worthy of your time. Situated right at the top of the Elbe River – and with a sail-in that takes you on a merry jaunt around it – this picturesque city flies its counter-culture flag with pride. There are three potential cruise ports you will be docked in upon your arrival in Hamburg: HafenCity, Steinwerder and Altona. HafenCity is the closest and is within walking distance of the city centre (roughly 20 minutes). Steinwerder and Altona will require you to hop on some public transport or your cruise line’s shuttle bus. Both are on the public ferry route which would be the quickest way into the centre, should you decide to go it alone. Reeperbahn: A long street of bars, clubs and live music venues with a good dollop of sleaze on the side. That’s the best way to describe Hamburg’s famous Reeperbahn – best known for having one of the world’s busiest red-light districts. However, the street also gave birth to one of the greatest bands of the 20th century. Yes, The Beatles, first started to make a name for themselves in the Indra Club on the Reeperbahn all those years ago – and there’s plenty of tours and guides ready to take you back to the time of Beatlemania. Miniatur Wunderland: It’s not possible to get around the entirety of Hamburg in a single day. Or is it? Pay a visit to the brilliant – and incredibly family-friendly – Miniatur Wunderland in the centre of Hamburg – the world’s largest model railway. The level of detail on these scale models is truly impressive and you can easily spend an afternoon travelling the world (there’s models of Austria, Italy and the United States amongst others) in this fun exhibition. Alt Helgoländer Fischerstube: Hamburg is famous for its fresh seafood and it doesn’t get much better than this seafood restaurant located right next to the fish market. Fischbrötchenbude Brücke 10: Feeling brave? Take a bite out of Hamburg’s favourite delicacy Bismarck (pickled herring sandwich) at this top lunch spot. VLET in der Speicherstadt: Located right in the heart of the port, there’s no excuses for missing this German-speciality restaurant. Neuer Wall: One of Europe’s finest – and most expensive – shopping streets, this is the place to be if you prefer the more refined things in life. Schanzenviertel: Looking for some German cool? Then you’ll want to explore this trendy street of boutique shops, cute cafes and cool bars. Hamburg Fish Market: It’s only open until 9:30am every Sunday, but this bustling fish market is an absolute must for anyone who wants an authentic Hamburg experience. Hamburg is an incredibly bike-friendly city with plenty of rental bikes dotted around the city to help you get from A-Z. They are free-to-use for the first 30 minutes and cost eight cents per minute thereafter.